Something real simple today. This is Zoya Julie for the base coat. I stamped with Zoya Reagan and then did a gradient heart using Zoya Reagan and Zoya Raven. Gorgeous! 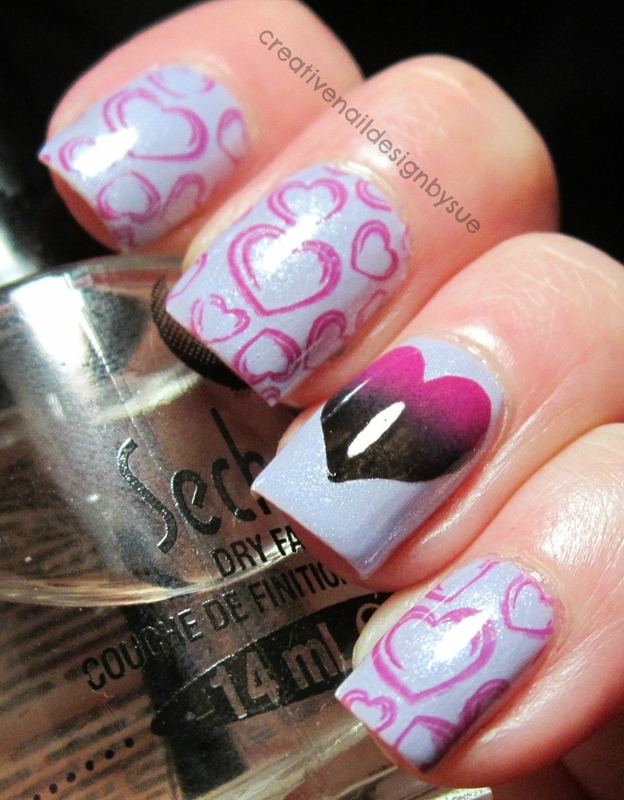 Love that gradient heart! A simple mani, yet so gorgeous! that is one of my favourite stamps! love!